• The perfect time for a reissue: In October 2009, PBS will air a ninety-minute primetime special on Joan Baez as part of the Emmy Award-winning American Masters series. Told often from Baez’s perspective, but supported by a rich performance and historical archive, the documentary centers on her career as a musician, power as an artist, those who influenced her, and those she championed. She will also be on a 27-city U.S. tour starting July 2009..
• A musical force and a catalyst for social change: At the age of eighteen Baez was an international star with a Time magazine cover story; fifty years later she has thirty-three albums to her credit. She also marched alongside Martin Luther King, Jr., was jailed for supporting the draft resistance, and sang in the first Amnesty International tour. 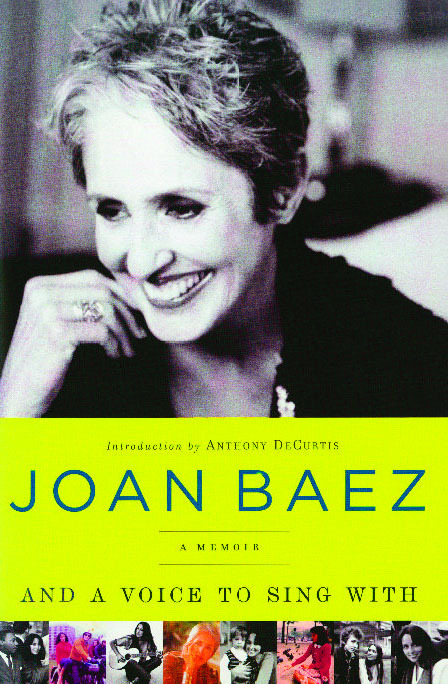 An extraordinary woman who has led an eventful life, Baez’s memoir is as honest, unpretentious, and courageous as she is. .